Tunde Jegede performing in a new production of Edward II at the Sam Wannamaker Theatre at Shakespeare's Globe. Tunde Jegede performing in a new production of Edward II at the Sam Wannamaker Theatre at Shakespeare’s Globe. 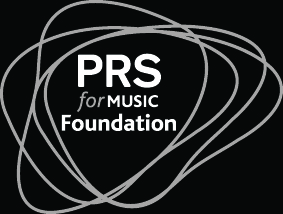 We are PRS Foundation, the UK’s leading charitable funder of new music and talent development across all genres. Here to help bring new music to life.